RED DEER - Hockey Alberta would like to congratulate the nine Albertan Officials selected to work the 2019 Allan Cup. Hockey Alberta’s Intro to Hockey Model, for all players aged 5-8 years, is in effect for the 2019-20 season. It replaces previous models and programming at the Novice and Initiation levels. For officials, the new model has resulted in modified on-ice mechanics. Pre-Tournament game in Cold Lake between Canada East and the USA. Anita Zacher, Belina Hooper, and Melanie Maloney working an Alberta Junior Female Hockey League game in Irma. In recent years competing hockey organizations have emerged in Alberta, operating outside of the Hockey Canada structure. 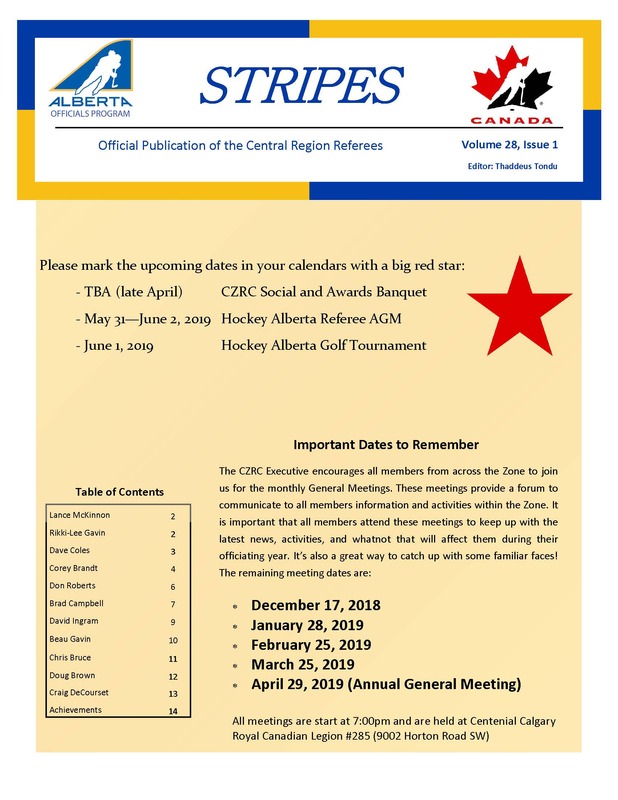 Hockey Alberta wants to ensure our registered officials have the correct information about the impact these non-sanctioned programs and leagues have on the eligibility of an on-ice official.